Sorry I haven’t written anything on this little blog in a week. It has been a busy week, but we pushed on and made it through. The weekend found us in Alabama visiting family. It was a wonderful visit and a great road trip. Of course, if you know me, I took pictures along the way. 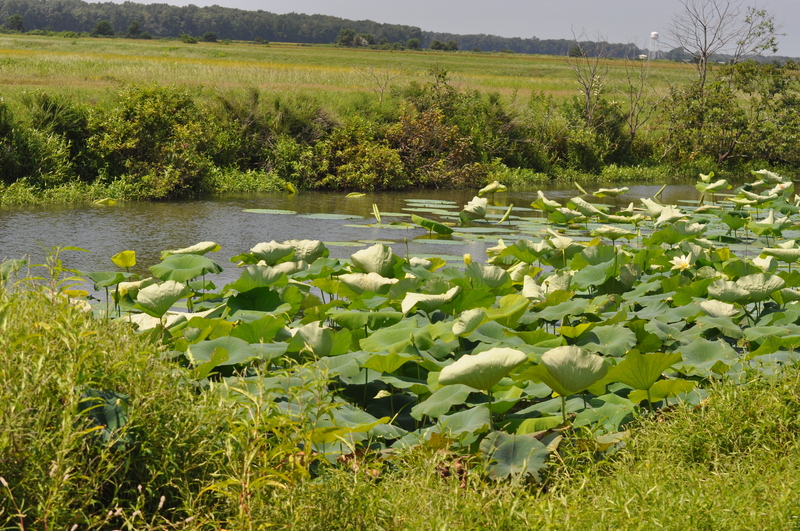 On this trip the vegetation was green instead of barely blooming. I found some interesting plants to record digitally. We found this next item in a small overflow pond at the edge of a gigantic soy bean field in western Arkansas. Quite frankly, I’ve never seen these this size before. 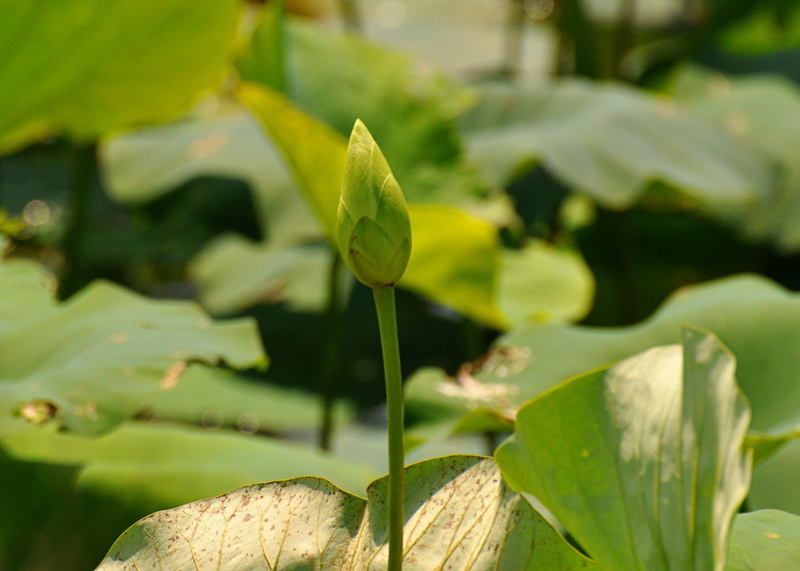 Believe it or not this is a lily pad. 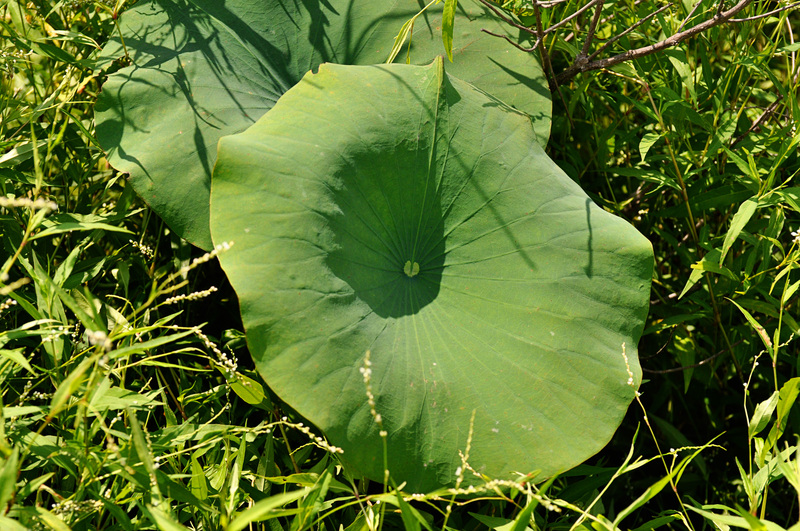 A lily pad of this gargantuan size is expected in Texas, but we find these in Arkansas. They appear rather innocuous in this picture, but they fill the small pond to over flowing! 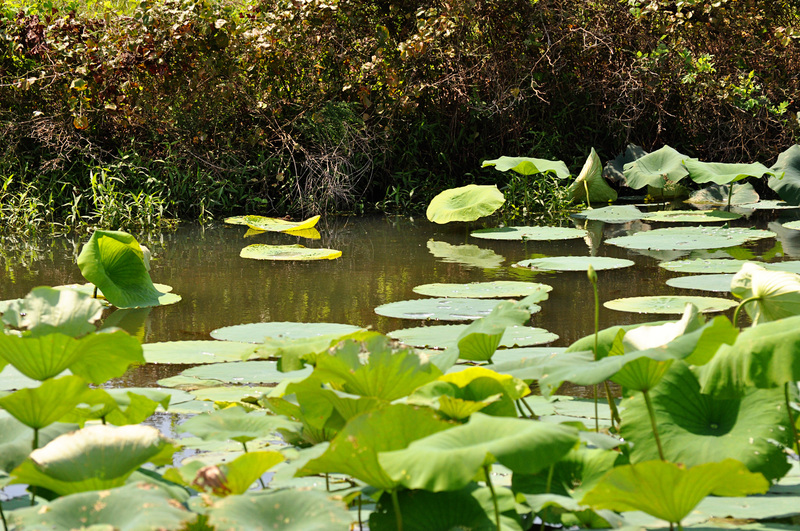 Then there are the flowers blooming from these lily pads. The buds are huge, mammoth. And the blooms are immense. What we have here are giant plants. Can you see him? Tucked under the immense shade of one of those fronds sits a toad. The leaf he sits on could swallow him up. He is in his own little heaven. 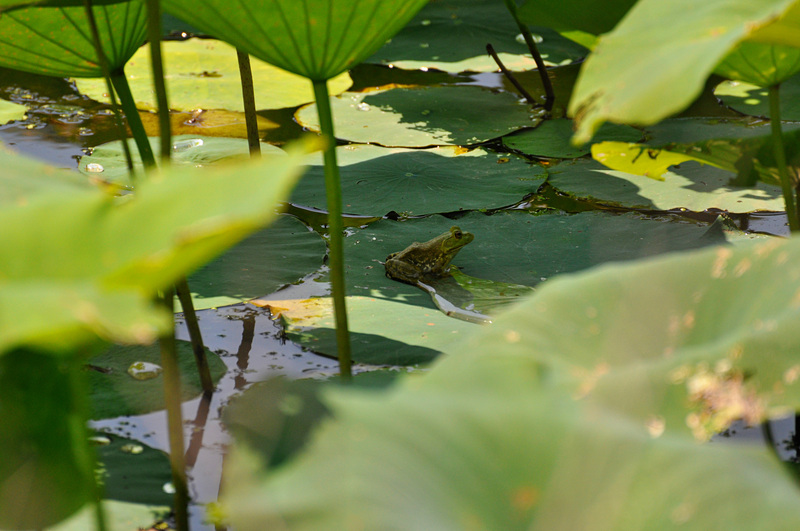 A puddle of cool water to sit in as the yawning shade of the overhanging leaf shields him from the harsh midday sun. He sits, lulled into lethargy by the mesmerizing calm of the pool. This is what I look like in the spring when I pull my laptop out to the porch and force myself to work as a steady breeze brushes across beneath the over hang and transforms my world into a place where napping outside becomes more enticing that finishing the daily word count. 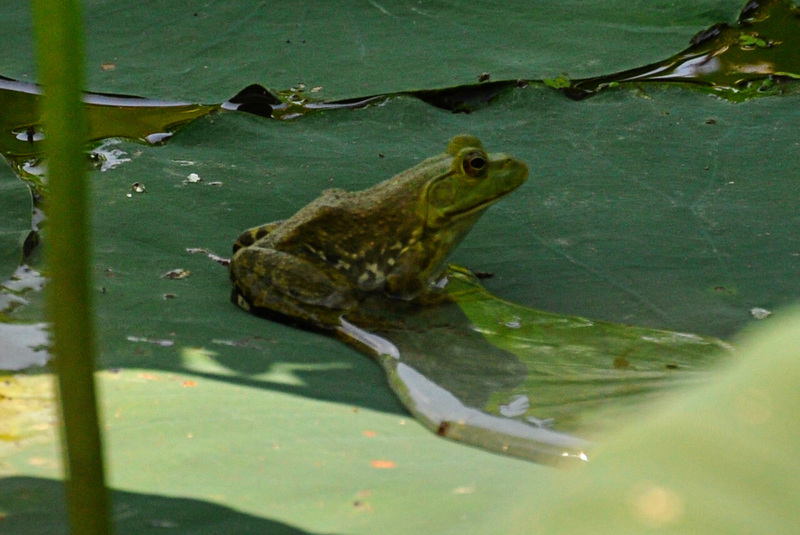 I wish I could fit on the green expanse of this leaf with the frog. He could share my little piece of heaven. Wow awesome photos. Thanks for sharing. Your pictures are always fantastic. Thanks. I THINK THE MOST OUTSTANDING THING THAT HAPPENED IN THE TIME PASSED WAS THAT DADDY DIED ON AUGUST 16TH. I AM SO GLAD YOU HAD A TIME WITH US TO BEGIN THE GRIEVING PROCESS. 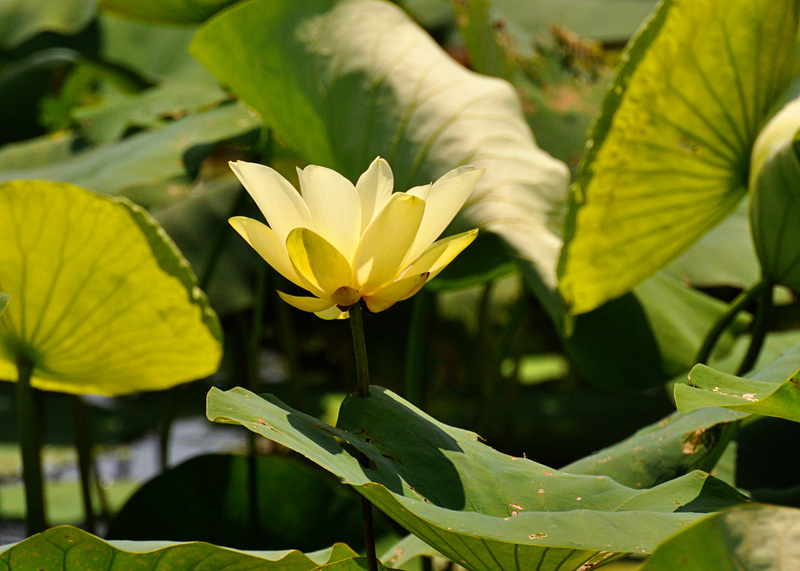 IMMERSING YOURSELF IN WORK AND TRANQUIL PONDS MAY ASSIST YOU IN THIS. I LOVE YOUR BLOG. I LOVE YOU.